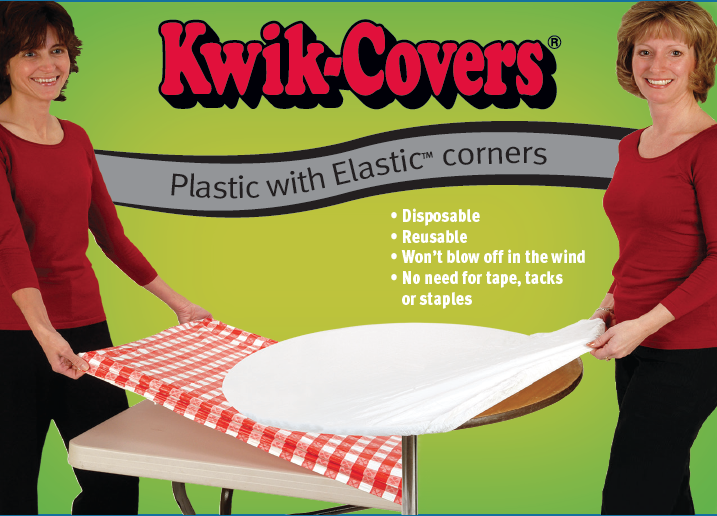 Kwik-Covers are perfect for large or small events or picnics. They won’t blow off in the wind or catch on guests clothing. Kwik-Covers come in a variety of shapes, sizes, patterns and colors to suite your needs.